You are in for a treat today here we are at the 37 acre Meadow Brook Organic Orchard and Heirloom Produce Farm for sale in Elk Horn, Kentucky this place is absolutely captivating. 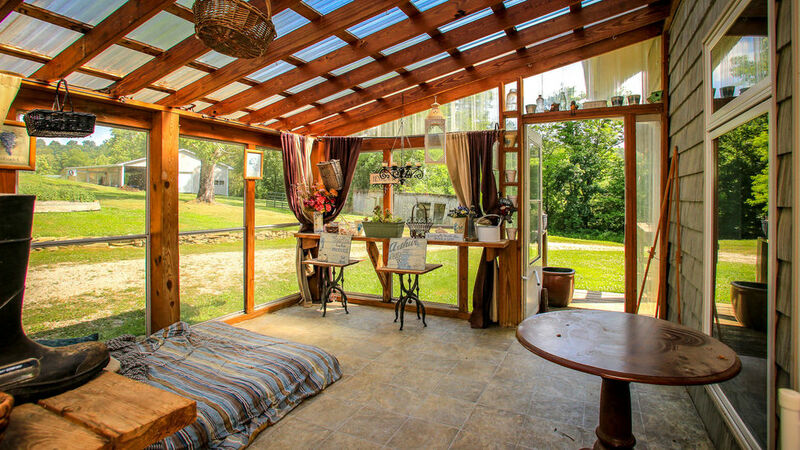 Organic Farm for sale in Kentucky. 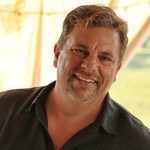 Why compete? call or text Ken to get inside 859-494-5521. 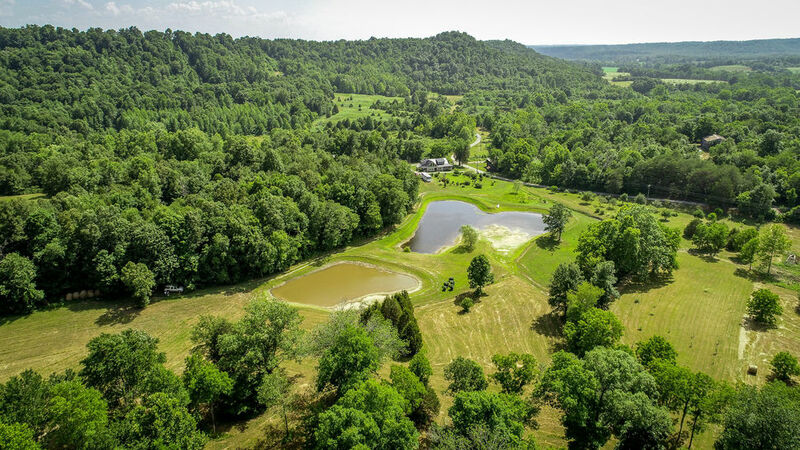 Organic Orchard Farm for sale, 4 ponds, 3 creeks, 3 greenhouses, 2 RV hookups and 1 GORGEOUS VIEW, Elk Horn, Kentucky. Landscaping is beautiful, Your private sanctuary 15 minutes from downtown Liberty, KY or Campbellsville, KY – both County seats. 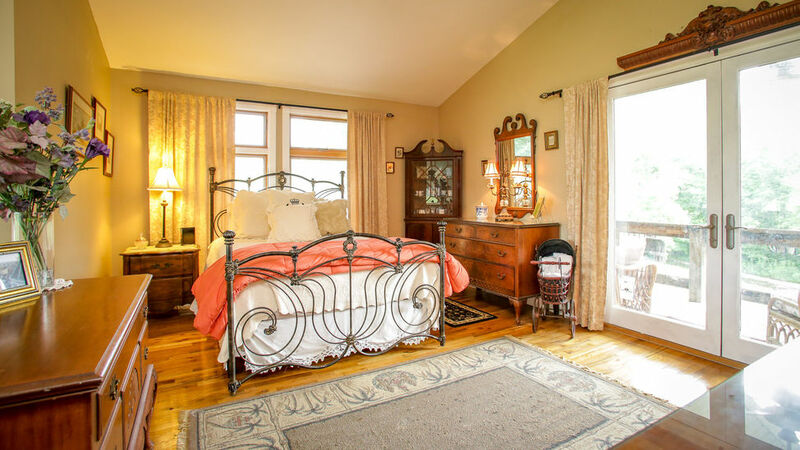 Gently rolling 37± acres, 3 br, 3 bath, 2600 sf, Stone Fireplace, decks, porches, Veranda, 32 x 64 barn with 3 overhead doors, 2 greenhouses – one of which is 14′ x 64′ heated and vented. Entire house has been updated and upgraded. 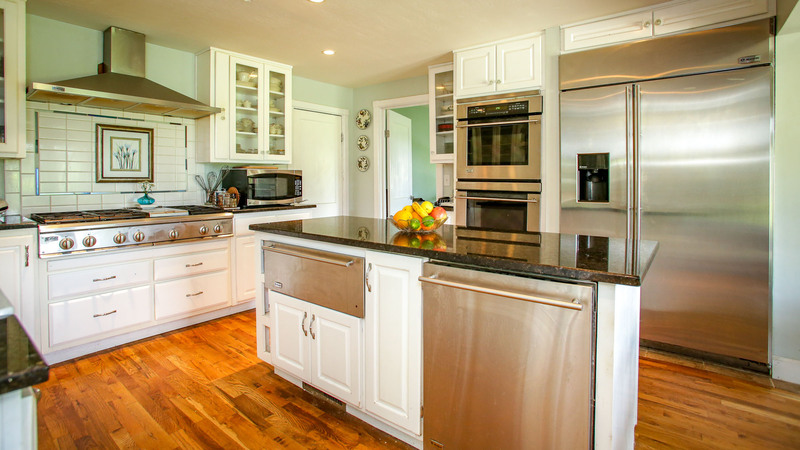 Gourmet Kitchen with walk-in pantry, stainless steel appliances, double ovens, 8 burner stovetop and French chefs kitchen island and one of my favorites things – a wet bar. Nature trails that rival a state park are cut in the wooded sections that are an oasis to the hustle and bustle. Don’t forget Hammock Hill – just up the hill a piece and overlooking the house, creek and pond. 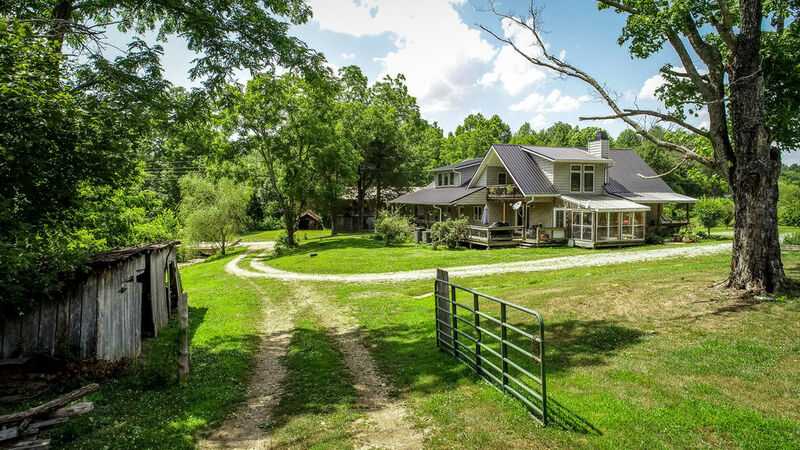 Less than a 15-minute drive from all the funkiness of downtown Liberty and other small KY towns, this house sits at the base of the surrounding mountains directly in between two county seats, next to some of the most interesting people around. You will be ‘out there’, but you won’t feel removed. This farm was started 10 years ago as an organic heirloom tomato farm and organic orchard with a sustainable twist. There are several people nearby who are doing alternative farming as well – a good network to have nearby. 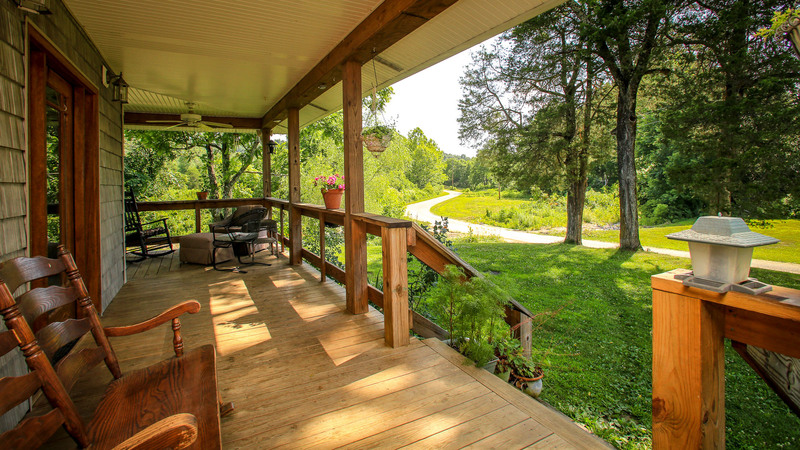 This quiet valley is a retreat, but you?re only ever a few minutes away from the best rural Kentucky has to offer. 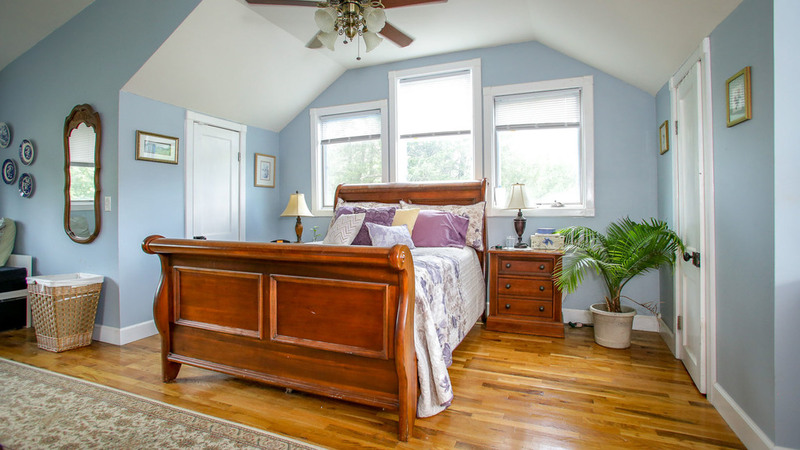 The home itself has 3 bedrooms, 3 baths, and the most charming little porches that acts as an extension for the rustic, truly farm-style family rooms. 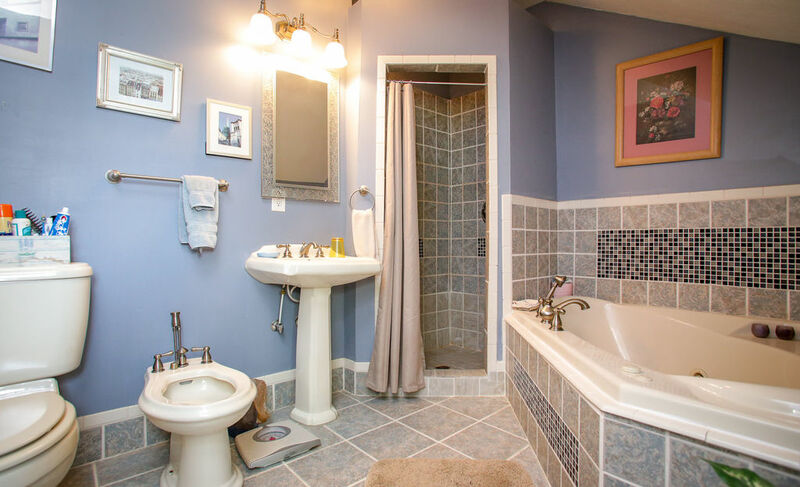 Beautiful Master BR suite is tiled with jetted tub, walk in shower and bidet. It?s sustainable-meets-organic-meets-all-the-amenities in all the best ways. 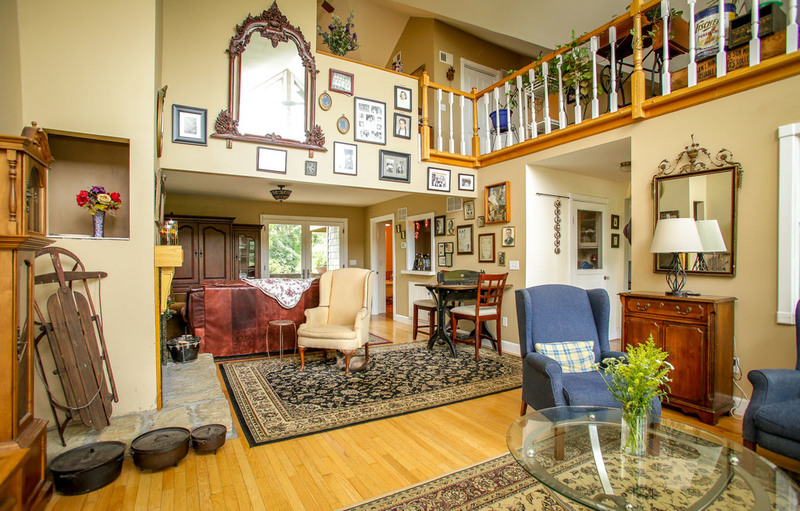 Plus, with all real oak floors, and a new-ish metal roof, new electrical, and new-ish super hi-efficiency dual-fuel Trane HVAC systems, you?ll be set in not having to worry about those items for a long, long time. Paying High Taxes is dead. Living 6′ from your neighbor is dead. Start LIVING a REAL Life of freedom.